New York City Council approves a nonbinding resolution to condemn the BDS movement. 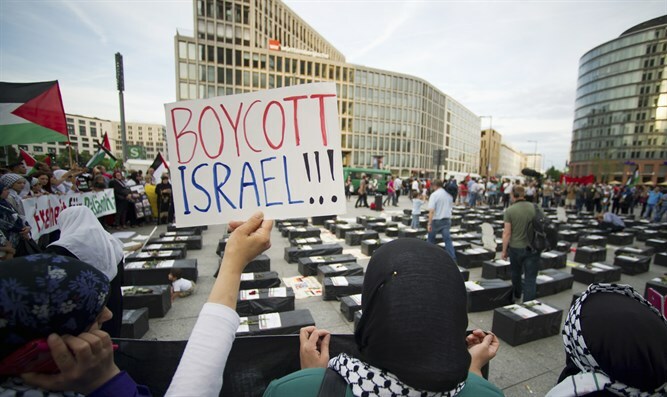 The New York City Council has approved a nonbinding resolution to condemn the Boycott, Divestment and Sanctions (BDS) movement against Israel, JTA reported Thursday. At a hearing last week on the resolution, dozens of pro-Palestinian Arab protesters were ejected from City Hall, according to JTA. The move is the latest in a series of similar resolutions in the United States aimed at fighting the anti-Israel movement. In June, New York Governor Andrew Cuomo signed an executive order against BDS hours before the start of New York City’s annual Celebrate Israel Parade. The order requires state agencies to divest themselves of companies and organizations aligned with the BDS movement. New Jersey Governor Chris Christie also recently adopted an anti-BDS bill which passed both the State Senate and Assembly almost unanimously. The new legislation will prohibit pension fund investment in entities that call for a boycott of Israel, and mandates a special report which will be presented to the State’s legislators to guarantee that the bill is being implemented. In late August, the California State Assembly voted 60-0 to send an anti-BDS bill to the governor for approval, a week after the Senate passed it.